Another common reason why your furnace is blowing cold air may have to do with your thermostat. Your thermostat controls when your furnace turns on and off, and whether it blows cold air or warm air. If your thermostat isn't set correctly, your furnace may be blowing cold air a result. If your thermostat is set to "on" rather than"auto" it will continuously blow cool air even if your home's heating system isn't on. However, your furnace may also be blowing cold air due to a faulty thermostat, in which case you will need to call your local furnace company to repair your furnace or thermostat, or to do thermostat and/or furnace replacement in Brooklyn Park MN. All Climate Mechanical, your local HVAC contractor in Brooklyn Park Minnesota, can provide you with the following services: Furnace Replacement, Furnace Repair, Furnace Service, Furnace Maintenance, Air Filters and Filtration, Boiler Replacement, Boiler Repair, Boiler Maintenance, Boiler Controls and Outdoor Resets, Pipe Thawing, Boiler System Operation, Unit Replacement, Unit Repair, Unit Maintenance, Storm Damage Assessment, Thermostats and Controls, Rebates, Preventative Maintenance, Air Conditioning Replacement, Air Conditioning Repair, Air Conditioning Maintenance, Air Conditioning Coils, Ductless Split Systems, Economizers, and Plumbing. Another common reason why your furnace is blowing cold air may have to do with your thermostat. Your thermostat controls when your furnace turns on and off, and whether it blows cold air or warm air. If your thermostat isn’t set correctly, your furnace may be blowing cold air a result. If your thermostat is set to “on” rather than”auto” it will continuously blow cool air even if your home’s heating system isn’t on. 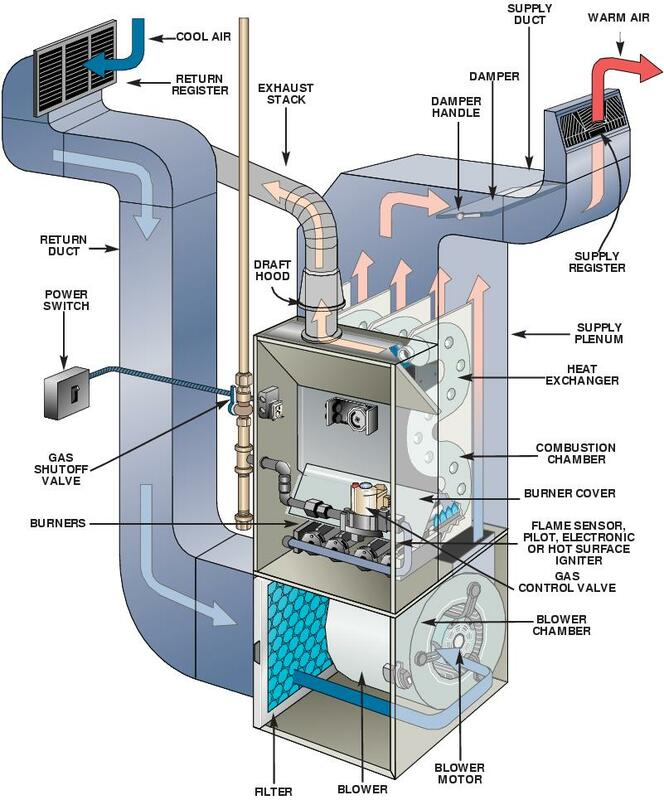 However, your furnace may also be blowing cold air due to a faulty thermostat, in which case you will need to call your local furnace company to repair your furnace or thermostat, or to do thermostat and/or furnace replacement in Brooklyn Park MN.